Nowadays buildings are very common around the world. 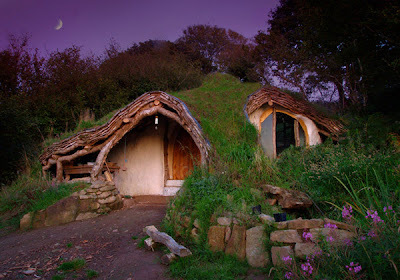 In fact, buildings cover major region of land then the forest areas since they are used for shelter, office, HQ, industries.... But it's quiet unusual to find some interesting and strange buildings. 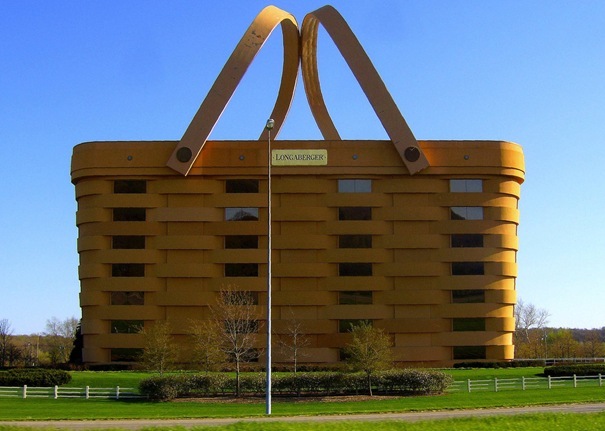 Well here is a collection of 35 most unusual but creative buildings around the world. 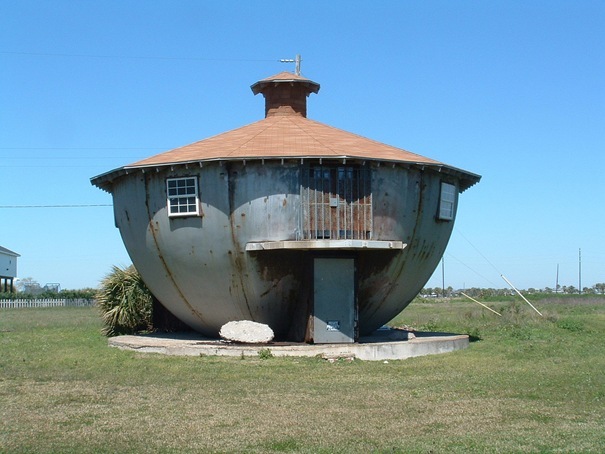 You can also check out our other collection of such strange buildings - Part II and Part III. 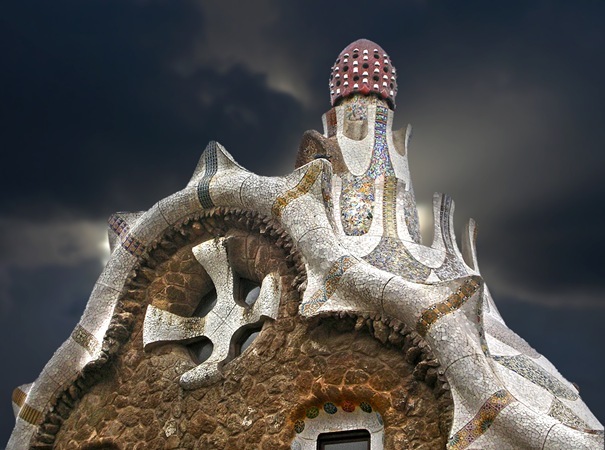 Despite what you might think this amazing building is not a temporal installation. 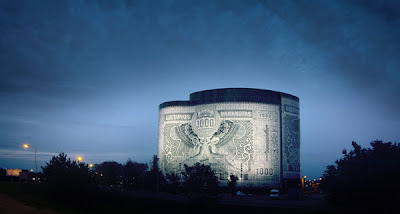 The image of the LTL 1000 banknote is brought onto this building using special enamel paint. Money theme well represents various businesses located in this spectacular building. It’s an office center located in the second biggest city in Lithuania.By the way, banknote dates back to 1925. However it’s not used nowadays. Rod Mickleburgh in his article (May ‘08) wrote: “It was too hot for New York City; too hot for Stanford University. 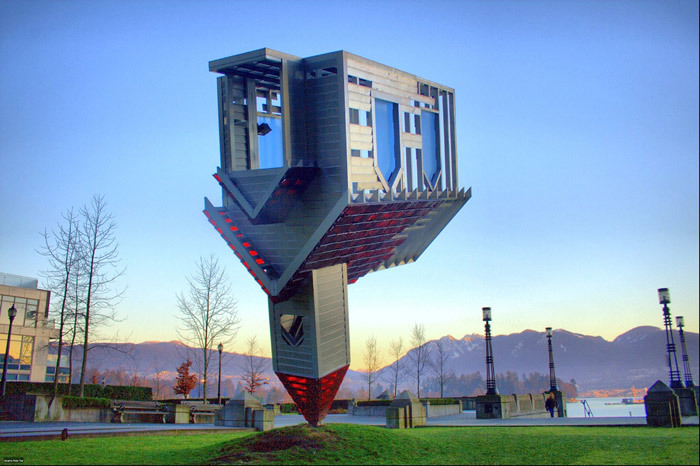 But a controversial, imposing sculpture by renowned international artist Dennis Oppenheim finally found a public home in laid-back Vancouver.” It was too hot for Vancouver as well. 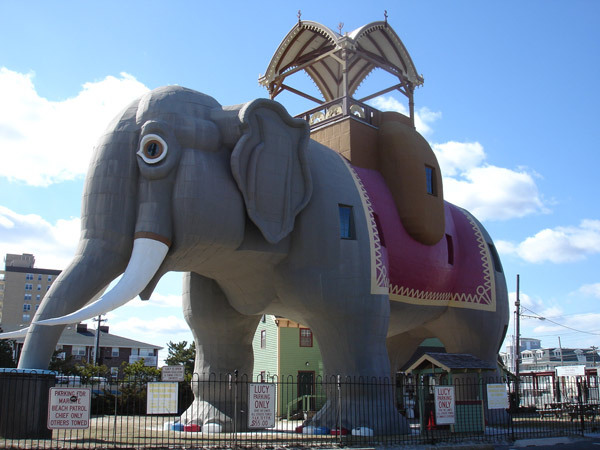 Now, The project has been removed from the city, and is now in Calgary, Alberta. It’s probably the mist that makes it so unusual and amazing at the same time. 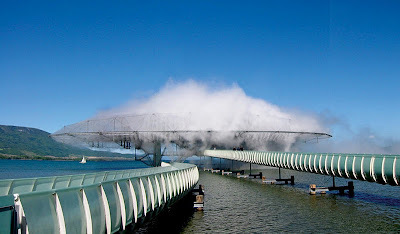 So called ‘blur pavilion’ with self generated mist was meant to give an impression that the building is floating above the water without any structural support. And indeed it looks just like that. 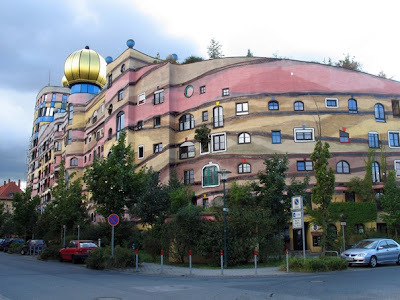 The Hundertwasser house “Waldspirale” (”Forest Spiral”) was built in Darmstadt between 1998 and 2000. Friedensreich Hundertwasser, the famous Austrian architect and painter, is widely renowned for his revolutionary, colourful architectural designs which incorporate irregular, organic forms, e.g. onion-shaped domes. The structure with 105 apartments wraps around a landscaped courtyard with a running stream. Up in the turret at the southeast corner, there is a restaurant, including a cocktail bar. It's is located in a small Spanish town of Figueras right near the French border? 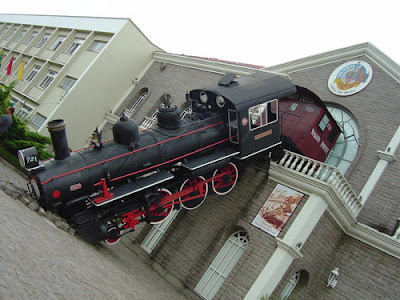 Its center square is named after Galle and Salvador Dali. This is exactly the place where the most sensational artist of the twentieth century was born on May 11, 1904. His every public appearance and each of his works Dali masterfully turned into a sensation, or a scandal, or both. 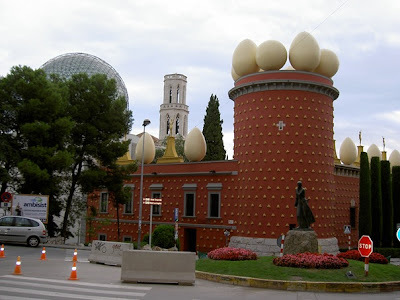 This museum houses the largest collection of Salvador Dali works – paintings, sculptures, collages, mechanical devices and other curiosities, as well as a small selection of works by other artists Dali liked. Puerta de Europa towers are two twin office buildings in Madrid. 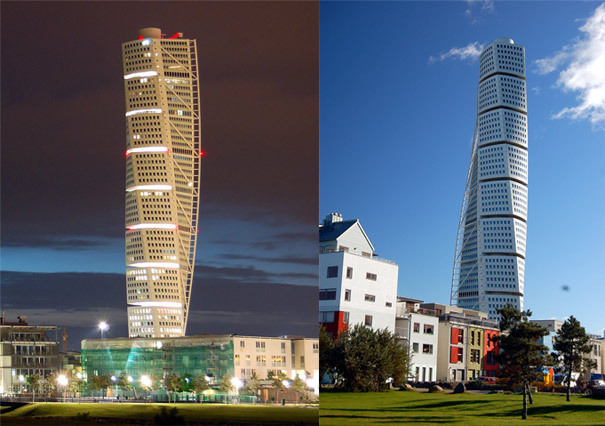 Each building is 115 m tall with an inclination of 15º. These twin towers are the world’s first leaning high-rise buildings. It's also known as Gate of Europe or Torres KIO. Daniel Czapiewski, Polish businessman and philanthropist, built this house as an artistic statement about the Communist era and current state of the world. Many tourists who visit complain of mild seasickness and dizziness after just a few minutes of being in the structure. This project, located in the heart of Kansas City, represents one of the pioneer projects behind the revitalization of downtown. The people of Kansas City were asked to help pick highly influential books that represent Kansas City. 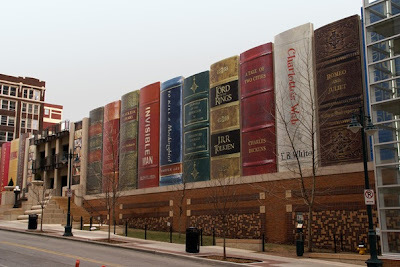 Those titles were included as ‘bookbindings’ in the innovative design of the parking garage exterior, to inspire people to utilize the downtown Central Library. 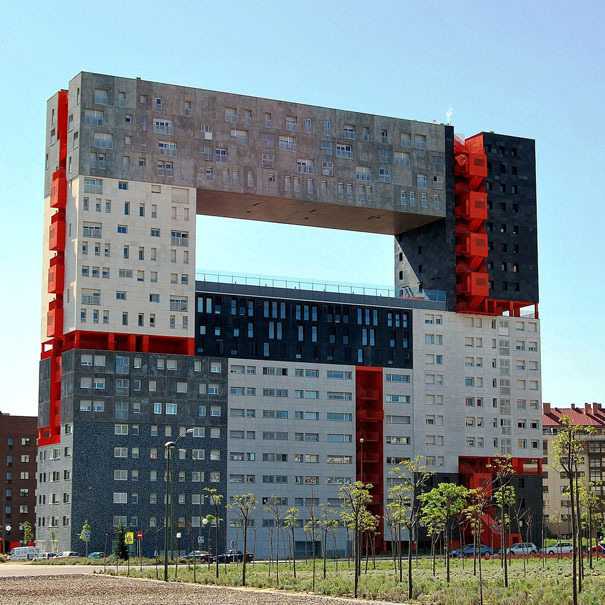 It’s a building developed by Dutch architects MVRDV. The building reaches 63.4 meters in height with 21 stories. 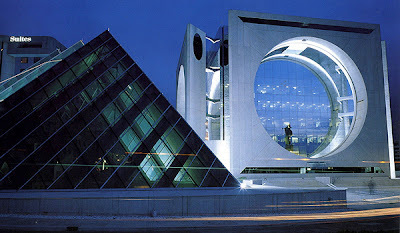 The highlight of this building is the large central hole which is 36.8 meters above the ground. It’s the large lookout area that provides inhabitants with a community garden and a space from where they can contemplate the skyline.Different colors represent different blocks with its own planning, which offer at least 9 different types of apartments. Once in a while you find something really amazing on the web. 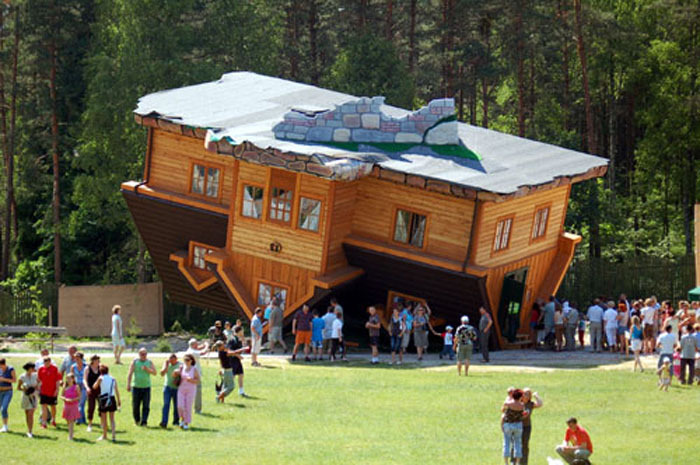 And I’m really happy that someone sent us a link of this truly astonishing house. One guy with the help of his father in law and friends built this house for his family. “The house was built with maximum regard for the environment and by reciprocation gives us a unique opportunity to live close to nature.” he says. The cube is the base, the mean and the finality of Habitat 67. In its material sense, the cube is a symbol of stability. As for its mystic meaning, the cube is symbol of wisdom, truth, moral perfection, at the origin itself of our civilization. 354 cubes of a magnificent grey-beige build up one on the other to form 146 residences nestled between sky and earth, between city and river, between greenery and light. 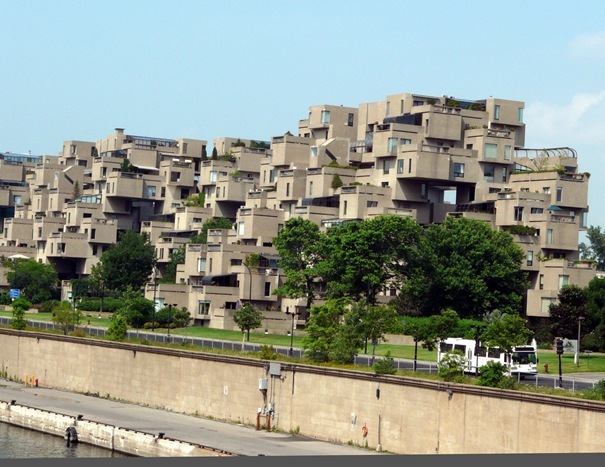 Expo 67 is one of the world’s largest universal expositions was held in Montreal in which this Housing was one of the main themes of Expo 67. The tower reaches a height of 190 metres (623 feet) with 54 stories.The design is based on a sculpture by Santiago Calatrava called Twisting Torso. It uses nine segments of five-story pentagons that twist as it rises; the topmost segment is twisted ninety degrees clockwise with respect to the ground floor. The open style of architecture and the glass facade allow a lot of light into the rooms and open up the building towards its surroundings. 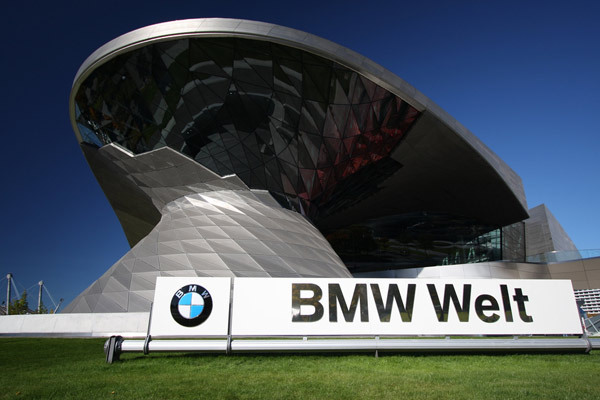 Simultaneously, the BMW Welt harmonically blends into the context of the architecture of the Olympiapark and the existing BMW buildings. These boots used to be the restrooms for a kitschy gas station. 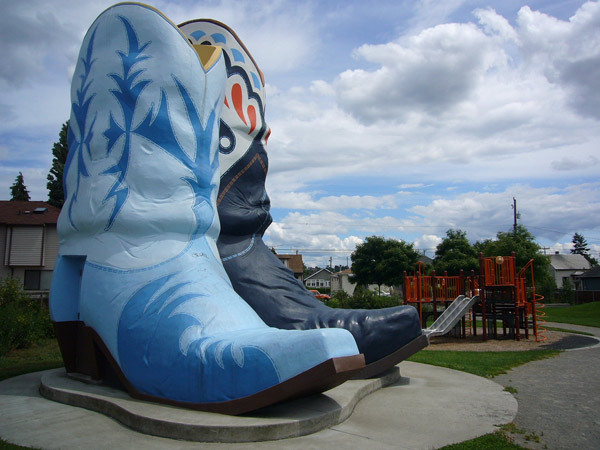 Now they adorn a park in Seattle. You can see the door on the side of the boots. The original idea of these cubic houses came about in the 1970s. 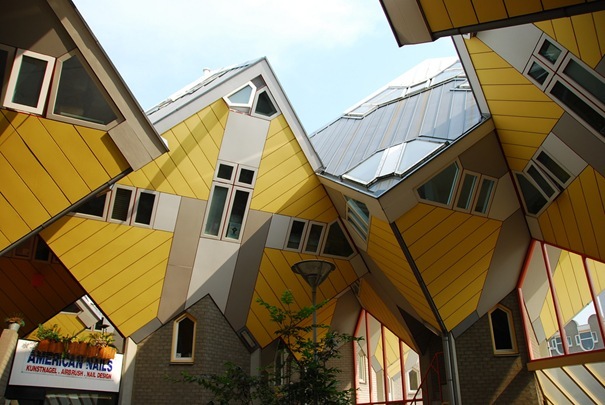 Piet Blom has developed a couple of these cubic houses that were built in Helmond. 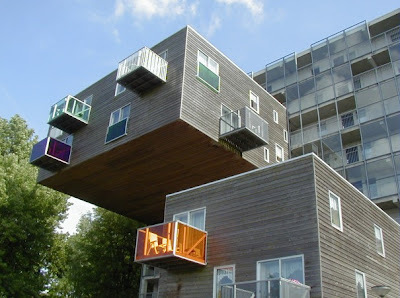 The city of Rotterdam asked him to design housing on top of a pedestrian bridge and he decided to use the cubic houses idea. The concept behind these houses is that he tries to create a forest by each cube representing an abstract tree; therefore the whole village becomes a forest. 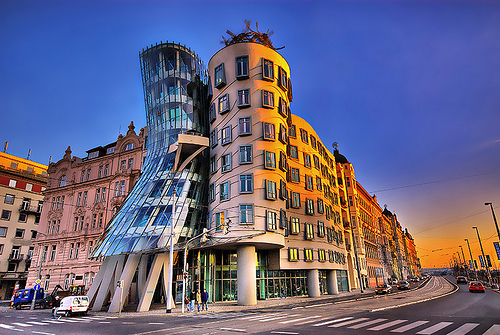 The Dancing House or Dancing Building or Ginger & Fred is the nickname given to the Nationale-Nederlanden building in downtown Prague, Czech Republic. It was designed by Croatian-Czech architect Vlado Milunić in co-operation with Canadian-American architect Frank Gehry on a vacant riverfront plot (where the previous building had been destroyed during the Bombing of Prague in 1945). The building was designed in 1992 and completed in 1996. The very non-traditional design was controversial at the time. Czech president Václav Havel, who lived for decades next to the site, had supported it, hoping that the building would become a center of cultural activity. Over the years, Lucy has served as a real estate office, a tourist attraction, a rental “cottage”, a bar, boarding house, hotel, restaurant and refreshment stand. At first the Wozoco Apartments did not seem too earth shattering in its strangeness. But when you realize that it bends the local law by making all of its apartment accessible from North/South entrance yet still faces East/West, is apparent. Everyone get to face the sun yet no laws are broken. 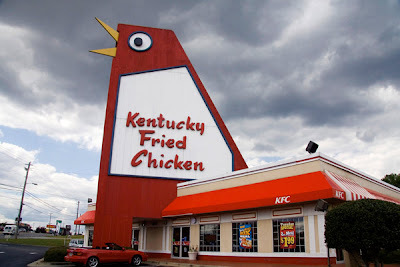 The Big Chicken was built in 1963 by S.R. “Tubby” Davis as a method of advertising a restaurant on U.S. 41, a main thoroughfare through Marietta, Georga. Designed by architect Agustin Hernandez, The Calakmul building is also known as La Lavadora or The Washing Machine as it resembles a large washing machine that gives off a brilliant mirrored effect! 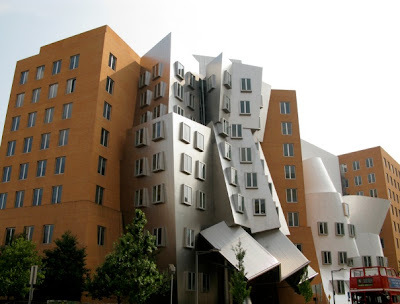 The Ray and Maria Stata Center or Building 32 is a 720,000-square-foot academic complex designed by Pritzker Prize-winning architect Frank Gehry for the Massachusetts Institute of Technology (MIT). The building opened for initial occupancy on March 16, 2004. It sits on the site of MIT's former Building 20, which housed the historic Radiation Laboratory, in Cambridge, Massachusetts. The Royal Ontario Museum (ROM) is a museum of world culture and natural history in Toronto, Ontario, Canada. 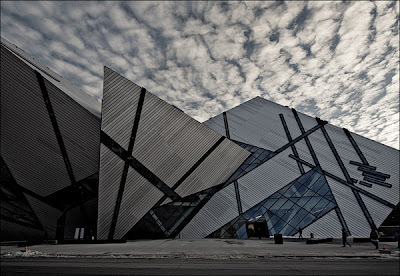 With its main entrance facing Bloor Street in Downtown Toronto, the museum is situated north of Queen's Park and east of Philosopher's Walk in the University of Toronto. This is a real house. 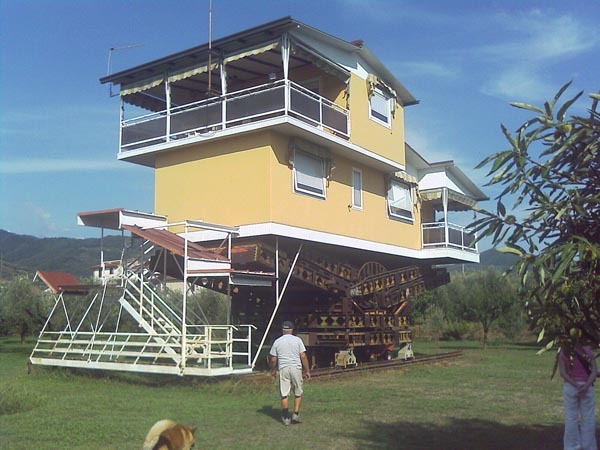 It goes up and down, can rotate 360°, runs on rails… the man built that all by himself alone and lived in it for seven years with his wife. Wonderworks in Orlando, Florida literally turns Classical architecture upside down. 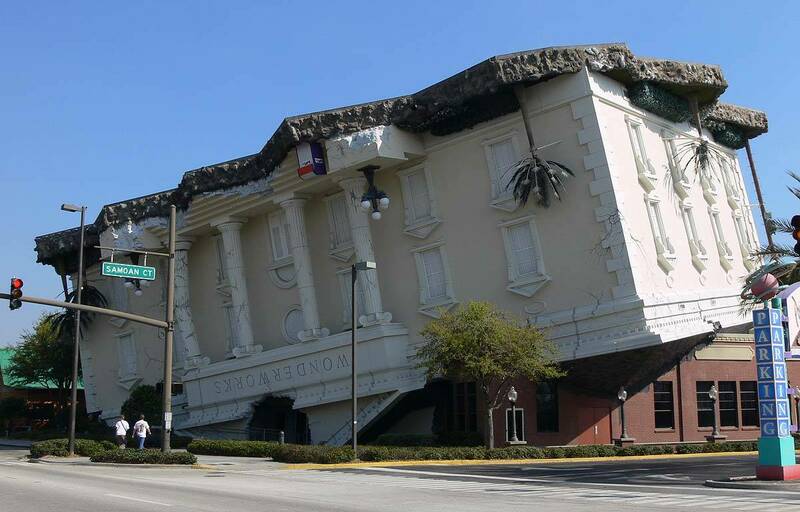 The three-story, 82-foot tall building is flipped over with its triangular pediment squashed into the pavement. One corner of the Wonderworks building appears to flatten a 20th century brick warehouse. Palm trees and lamp posts hang suspended. Rumor has it that it was built in the 1950′s, and that it is the top of a silo turned upside down and roofed. 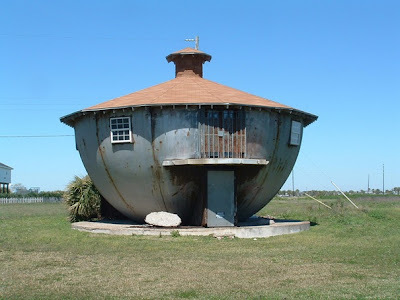 Most of the internet comments out there comment on the fact that it managed to survive Hurricane Ike – a 2009 hurricane classified as a Tropical Depression Nine. Ike was a horrible hit to Texas, killing 6000 people in just a few hours. It was the worst hurricane to hit Galveston since 1900. 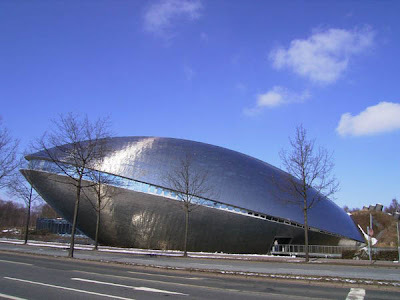 The Universum Bremen opened in September 2000 near to the University of Bremen, Germany. Covering over 4,000 sq. meters. The exhibition contains exhibits related to one of the three topics: mankind, earth and the cosmos. 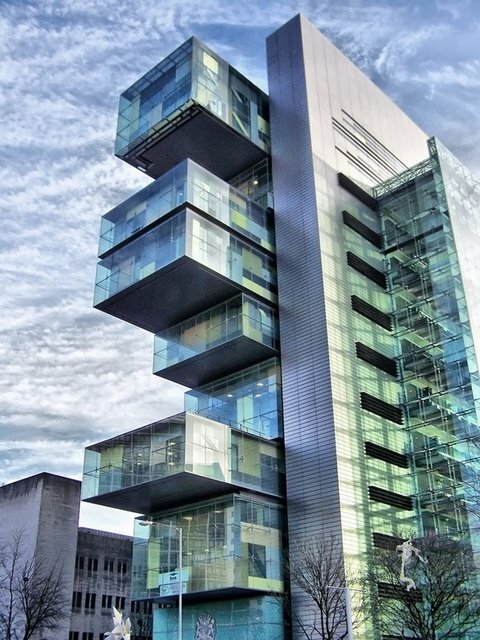 The science center building, with its 40,000 stainless steel scales, resembles a mixture between a whale and mussel. 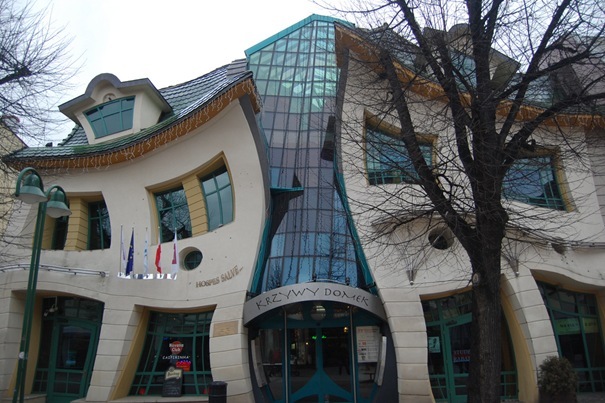 It was designed by the Bremen architect Thomas Klumpp. This wonderful, whimsical house design in Mexico City is bringing the life aquatic into architecture. The modern Nautilus House designed by architect Javier Senosiain of Arquitectura Organica is wonderful to look at, walk through and enjoy for what it is – a blend of modern architecture and contemporary art. 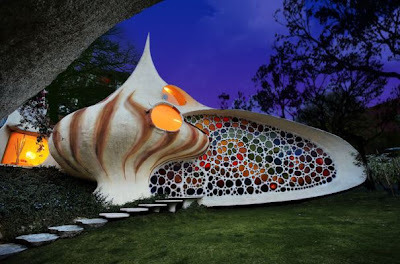 The Nautilus House falls under the architect’s “organic works” category, inspired by the sea and taking on the twisting and turning form of the Nautilus shell. The sculptural whimsical house features a striking entry cut into a wall of colorful stained glass. 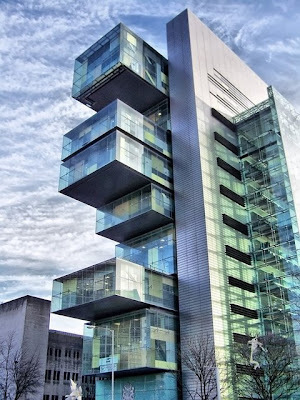 The Manchester Civil Justice Centre in Manchester, England houses the Manchester County Court and the Manchester District Registry of the High Court, Manchester City Magistrates’ Family Courts, the District Probate Registry, and the Regional and Area Offices of the Court Service. It has been nicknamed the filing cabinet due to its distinctive cantilever floors at the end of the building. 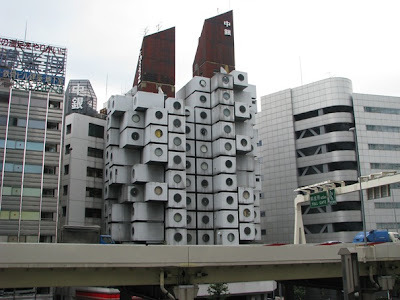 The Nakagin Capsule Tower is a mixed-use residential and office tower designed by architect Kisho Kurokawa and located in Shimbashi, Tokyo, Japan. Completed in 1972, the building is a rare built example of Japanese Metabolism, a movement that became emblematic of Japan's postwar cultural resurgence. 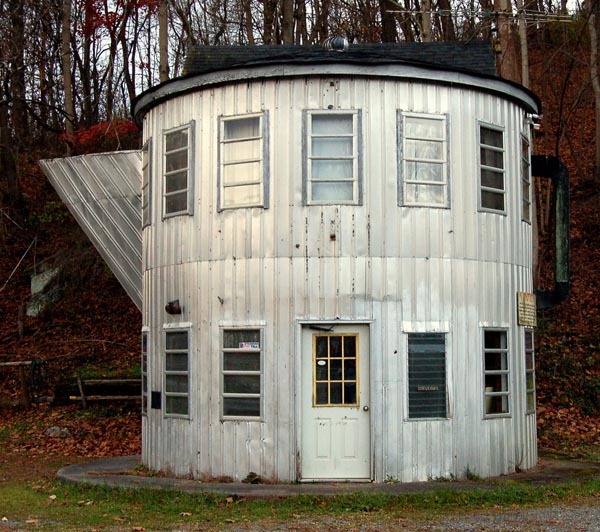 The building was the world's first example of capsule architecture built for actual use. The building is still in use as of 2010, but has fallen into disrepair. As the name says, it is dedicated to showcase the many applications of the steam engine — in manufacturing, transportation, arts & crafts etc. The “disaster” reproduced in the front is a reference to a real accident, that occured at Gare Montparnasse, Paris, on 22 October 1895. 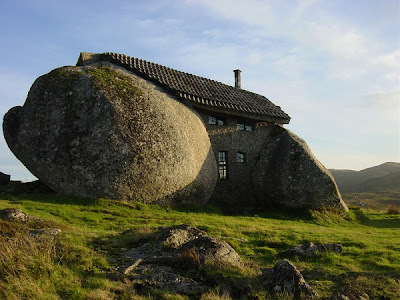 Located in Nas montanhas de Fafe, Portugal, the resistance primarily secured by two giant stone walls also for residential unusual. If you are the one to go for residential built with materials that sustainable, what better way to do it than actually using the nature of your architectural plans? This is the case with an attractive look for this house.